In any organisation, numbers are converted into data and ultimately, they generate the vital information which is useful to bring down the results. Numbers and figures need some tool to present beautifully. When they are presented in an undisciplined manner, they become hard to understand and build a result. 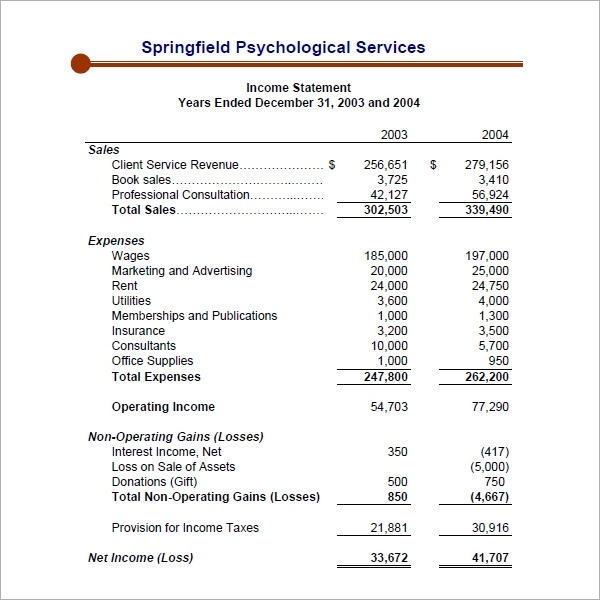 No doubt, an income statement is full of numbers and figures, and a template makes it worth to present beautifully which provides a base to understand the statement. 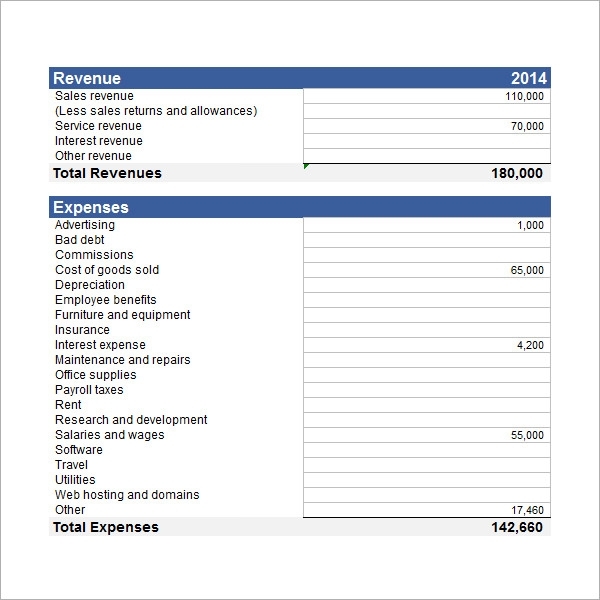 You may also like Expense Statement Templates. 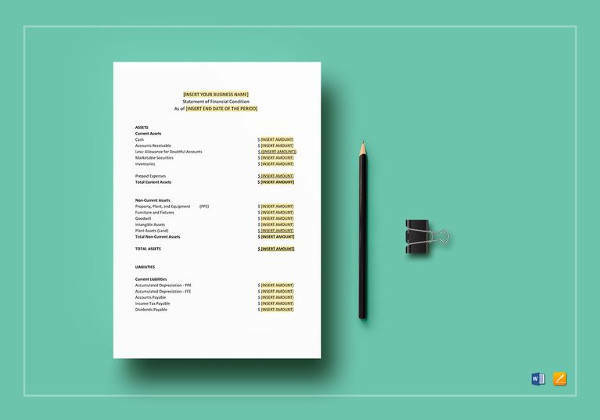 A balance sheet template shows all rights and responsibilities of the company in the form of asset and liabilities with the comparison of similar preceding items and figures to know the worth of the company. 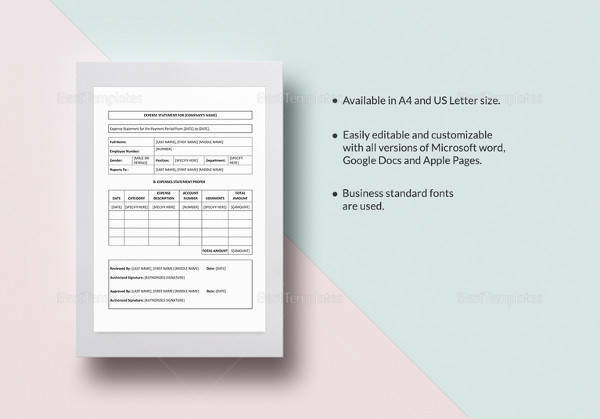 The template is also available in one fold, two-fold or multi-fold format to work on a bigger level. In getting the true liquidity position of the organisation, the cash flow template tallies the beginning and closing cash position with the adjustment of the outflow and inflow of the cash. It provides the facility to work on any direct or indirect method of the cash flow with the all three sub-headings. The summarised information in the form of the template helps in getting loans and borrowing funds from the outsiders. 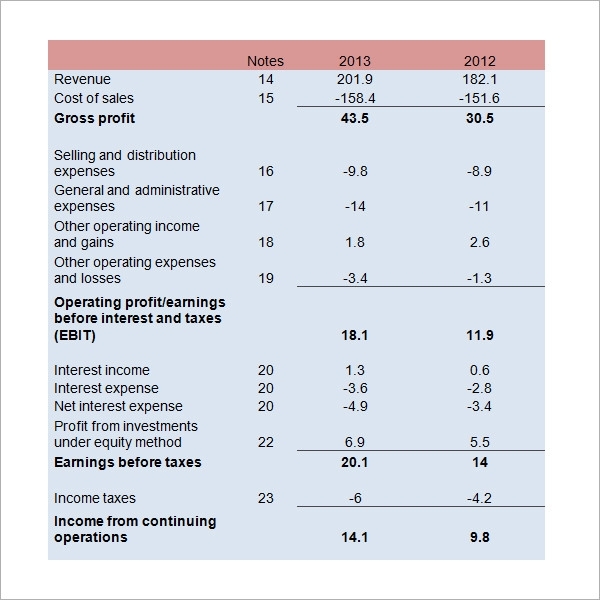 Irrespective of whether you are working to count operating income or non-operating income, a yearly income statement furnishes annual figures for the corresponding items and headings. 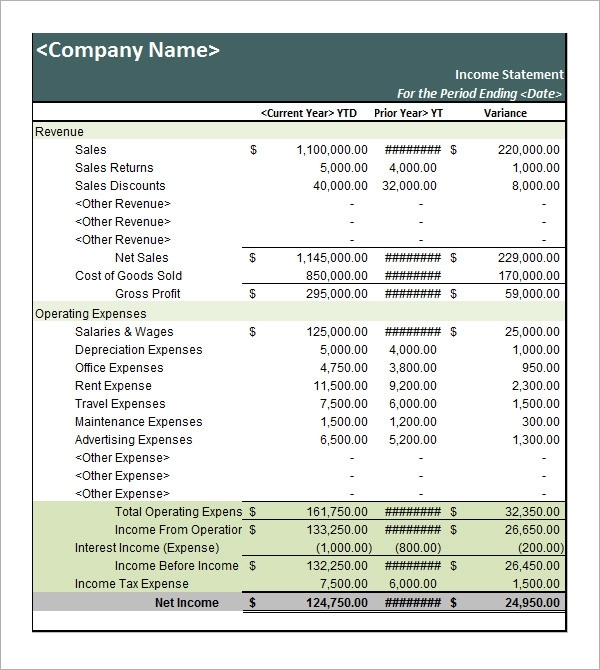 For further bifurcation, many similar monthly, quarterly, and semi-annually income statement templates are available for free download. 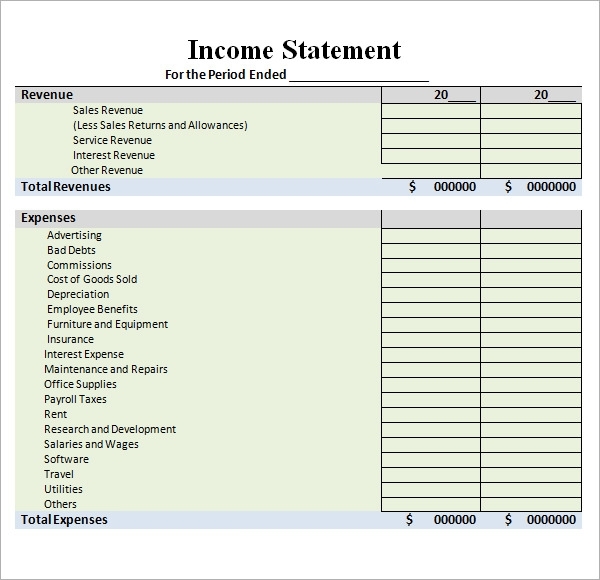 Retained earning income template shows corresponding figures of previous years to make a complete analysis of the said statement. It also figures out below the line items containing contingent responsibilities. 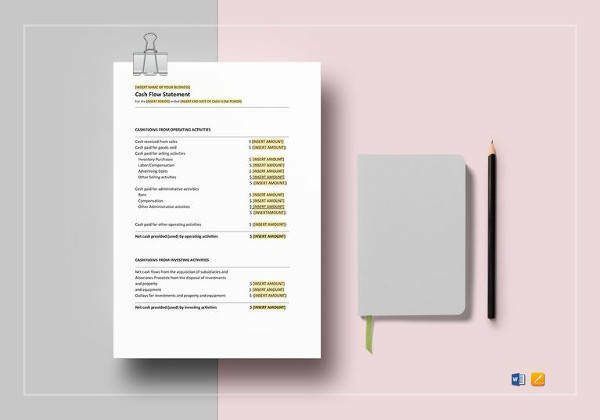 Moreover, after showing retained earning information, it contains headings and sub-headings which clearly state the apportionment of profits under various segments of the organisation. 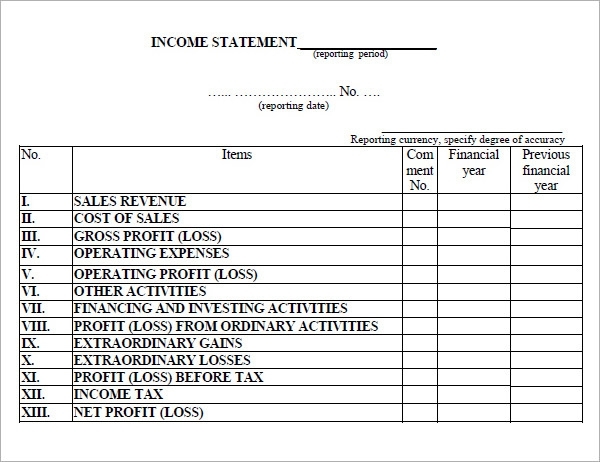 Income statement template is one of the many ways used to present the financial position of a company in a readable manner. 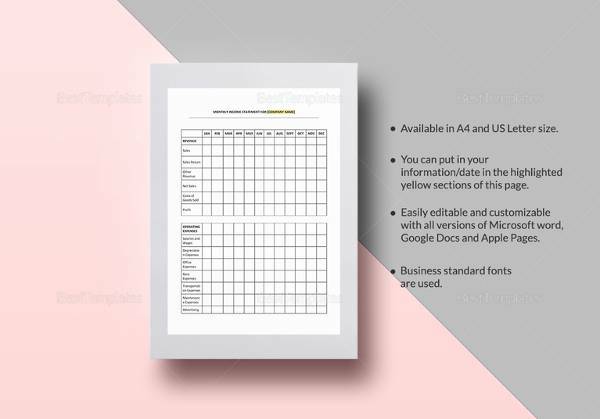 Basically, this template is a summary of all crucial financial data which depicts complete picture of incoming and outgoing funds of any business. 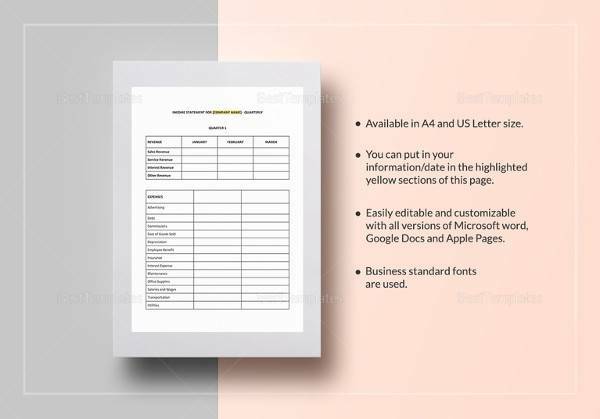 A complete income statement template and Purpose Statement Templates includes true and fair view of the balance sheet items with corresponding operating income and expenditure format. Helps in reporting the segment-wise position of any entity. Assists in getting overall profitability of the organisation. With the comparative analysis, the template facilitates the adoption of different financial policies. Determines the growth rate and depicts a true picture of incremental expenditures, this statement also furnishes quality and summarised data. Shows the utilisation and application of funds in different areas of t he business. 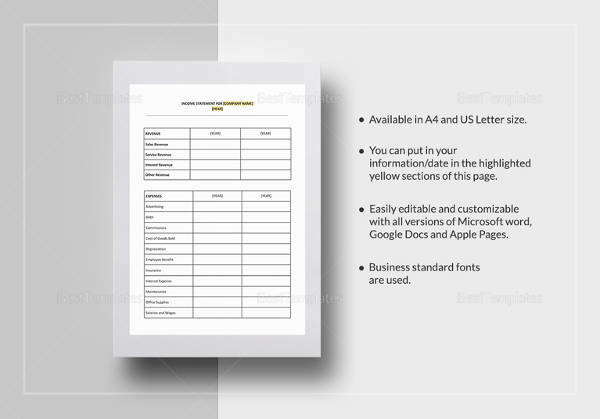 You may like Billing Statement Templates. The statement should be divided into different categories separately and shown under major two headings, say income and expenditure. 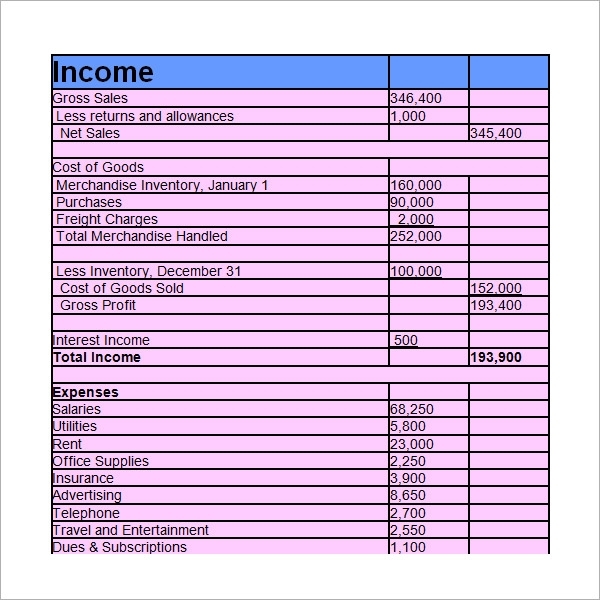 The contingent liabilities and asset items should be shown as notes in the template after statement completion. 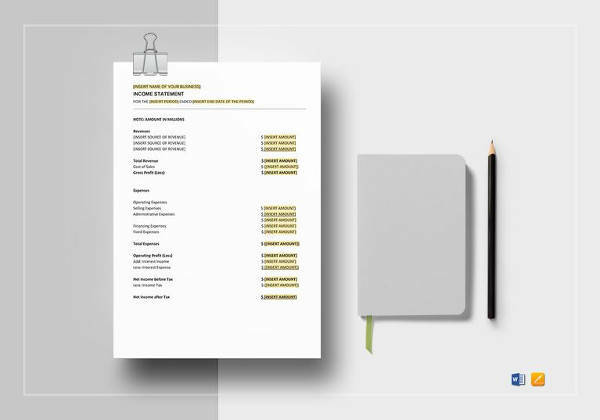 Design the statement according to the needs of business for a quarter or a year. Bring down the preceding balance carefully. 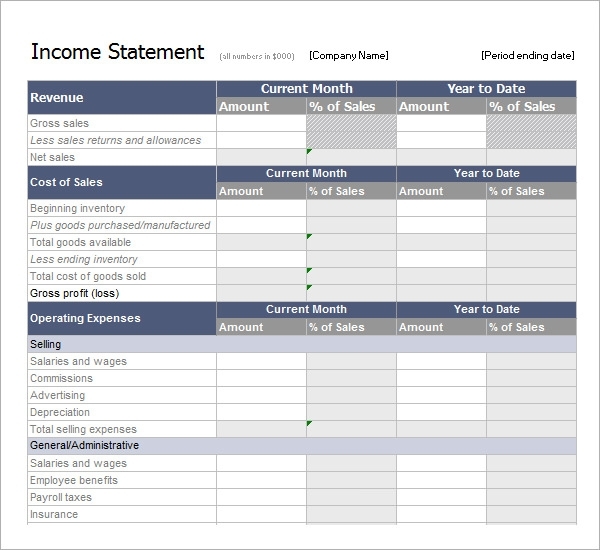 Download income statement template and get the benefit for long-term using the same structure for many scenarios. 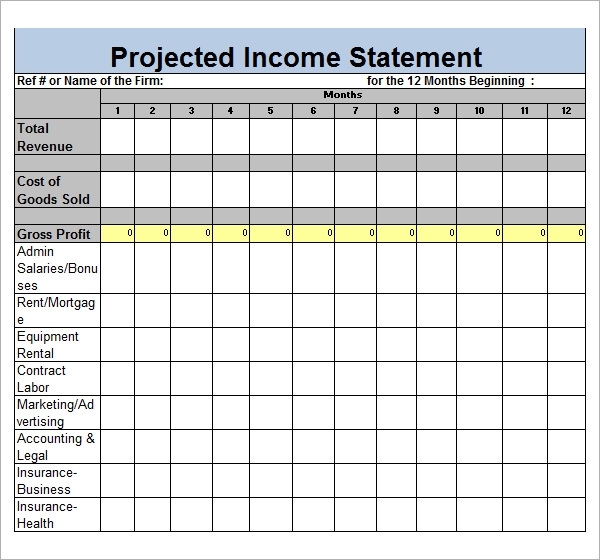 Pick your choice among excel sheet, PDF file or the word document to make a good future use of income statement templates. 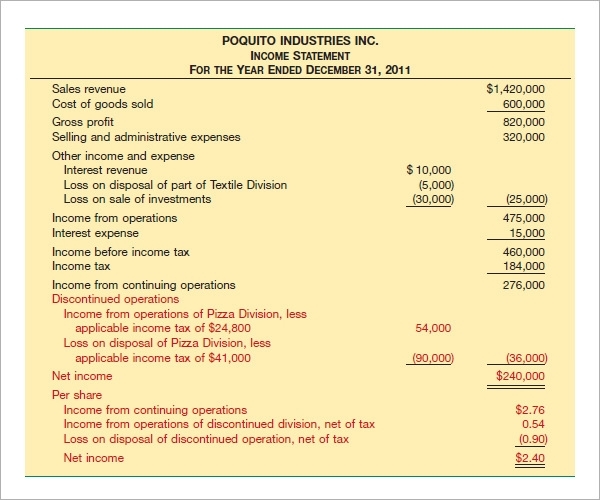 With detailed coverage, our income statement templates present information with finesse. Having the flexible compatibility in any version of software, we provide quality statements with the feature of modification on. If you have any DMCA issues on this post, please contact us! If you have any DMCA issues on this post, please contact us!